There's storage for cloth napkins, elegant silverware, crystal glasses and serving dishes. There could be a mini home bar or room for candles or even books lined up in the cabinets. 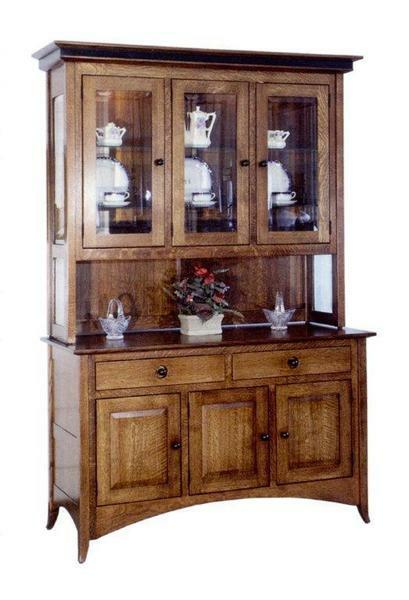 The Amish Shaker Hill Three Door Hutch is yours to design and use for the storage you need most. Amish made means full of function, strength and beauty you can count on for generations. What can we help with? Do you have questions? Our team of Amish Furniture Specialists is ready to help with anything from wood types to custom options to shipping questions. We can be reached by email or phone. Contact us today. We'd love to hear from you. Thank you for shopping with us.